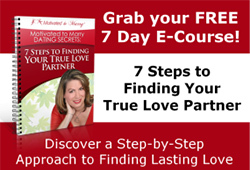 Do you BELIEVE you can find the true love of a marriage minded person? I have been interested in a woman that I know from work that is much younger than me and I have been trying to pursue her. I am a 55 year old divorced man (no children) who at this time would really like a serious relationship leading to get married a family.